Adrien Niyonshuti, twice the flag bearer for Rwanda's summer Olympics team, is on the hunt for a 2018 pro contract. Rwanda’s most accomplished cyclist, Adrien Niyonshuti, is praying for a pro contract. 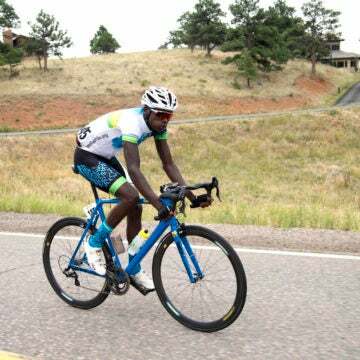 Niyonshuti, twice the flag bearer for Rwanda’s summer Olympics team, is on the hunt for a 2018 pro contract, having ended his two-year WorldTour run with South Africa’s Team Dimension Data-Qhubeka. Niyonshuti, 30, raced for the South African team for nine seasons as it progressed from the UCI Continental to Pro Continental and finally WorldTour status. Niyonshuti said he hopes to stay in cycling’s WorldTour, however, he is also looking at Pro Continental and Continental teams as well. He has also not ruled out a return to professional mountain bike racing; Niyonshuti raced mountain bike cross-country at the 2012 summer Olympics in London. Niyonshuti’s departure from Dimension Data follows that of Algerian rider Youcef Reguigui and Eritrean rider Daniel Teklehaimanot, who wore the polka-dot jersey during the 2015 Tour de France. Team principal Doug Ryder attributed the departures to the limited space on his team’s 2018 roster. 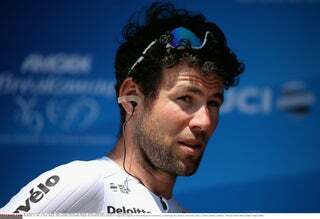 Like other WorldTour teams, Dimension Data has felt the pinch of the new UCI roster reduction for grand tour squads from nine to eight riders. The South African team has reduced its squad for 2018, shrinking from 28 riders to 27. One of the team’s stated goals is to provide a pathway for African riders to progress into the professional ranks. For 2018, the team will elevate two African riders from its U23 development squad to the WorldTour squad: Eritrean rider Amanuel Ghebreigzabhier and South African rider Nicholas Dlamini. Of the team’s 27 riders, 13 are African. Ryder said the team would also continue to bring African riders to the grand tours. In 2017 Dimension Data brought five African riders to both the Giro d’Italia and Vuelta a España. If Niyonshuti is unable to find a team, he said he would return to Rwanda to work with the country’s cycling federation and his personal charity group, the Adrien Niyonshuti Cycling Academy. Based in his hometown of Rwamagana, the program provides cycling leadership to young Rwandans. 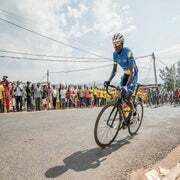 Niyonshuti was the focal point of the 2013 film “Rising from Ashes,” which chronicled the progress of Rwanda’s national cycling team and its goal of qualifying a rider for the Olympics. The film discusses Niyonshuti tragic family history; he lost dozens of relatives during Rwanda’s genocide in 1994. In 2006 Niyonshuti connected with Americans Tom Ritchey and Jonathan Boyer, whose nonprofit Project Rwanda worked to create the country’s first national cycling team. The two Americans organized a bicycle race called the Wooden Bike Classic festival, which Niyonshuti won, beating Boyer. Boyer invited Niyonshuti into the program, giving him racing gear and training guidance. In 2007 the two completed the Absa Cape Epic race together. Boyer said Niyonshuti showed immediate talent in physiological tests. While Niyonshuti lacked the high-end speed of many European racers, he could ride near his threshold for hours. Niyonshuti won the Tour of Rwanda in 2008 and won the country’s national road race title from 2010-12. He also won Rwanda’s national time trial championships in 2016 and 2017. In 2009 Boyer helped Niyonshuti gain a spot on Ryder’s UCI Continental team, then called MTN-Energade. Ryder said Niyonshuti’s work ethic and dedication make him a valuable addition to any squad.